It’s common for the members of most households to spend a lot of their time in front of the television. Whether used as a way to relax alone and unwind the mind or as a way to gather the family for some quality time, TV programming draws in millions of viewers throughout each day. The significant role that TV plays in everyday life, along with the fact that it’s a service you’re shelling out your hard-earned cash for, makes it important to carefully choose who will provide you with this service. With so many options currently offered between cable, satellite, and now, Internet providers, it may be a little difficult deciding exactly which one you’ll be most satisfied with. However, here are some pretty convincing reasons why Dish Network services in Concord should be at the top of your list. When TV service providers began introducing the concept of recording shows, games, movies, etc. with a DVR, it significantly changed the way programming was viewed. Since then, TV technology has continued to improve, hence the debut of Dish Network’s Hopper equipment. This advanced DVR goes above and beyond the standard technology of recording your favorite television programs by allowing much more memory to be stored, having the ability to record 6-8 different channels at one time and then share recordings between multiple TVs. In addition, Dish receivers offer Bluetooth integration, remote control locator, parental controls and several other features. 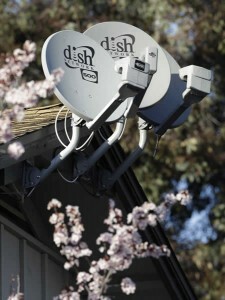 Dish Network subscribers receive a wide variety of TV programming, which guarantees entertainment for the whole family. The channel line-up can include local stations, premium movie networks, sports selections and Spanish-speaking channels as well, depending on the package chosen. Dish also supplies more HD channels than other providers with a crystal clear resolution you’ll be hard-pressed to find anywhere else. Knowing that not every customer requires the same amount or type of TV service is why Dish offers competitive pricing and various packages along with generous discount opportunities, ensuring there’s an option no matter what your budget or needs may be. Subscribers may also benefit from the ClubDish program, which rewards them for every new customer they refer. Some of the greatest TV features currently being offered are provided by Dish Network services. If you’re looking for quality TV programming from a reliable and affordable provider in Concord, you can’t go wrong with Dish.